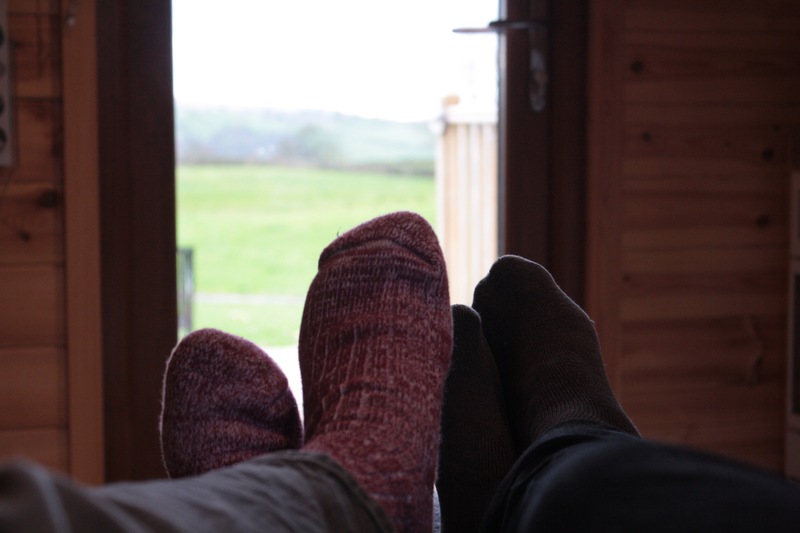 Our Perfect break at Howgill’s Hideaway. Happy Half Term holidays! 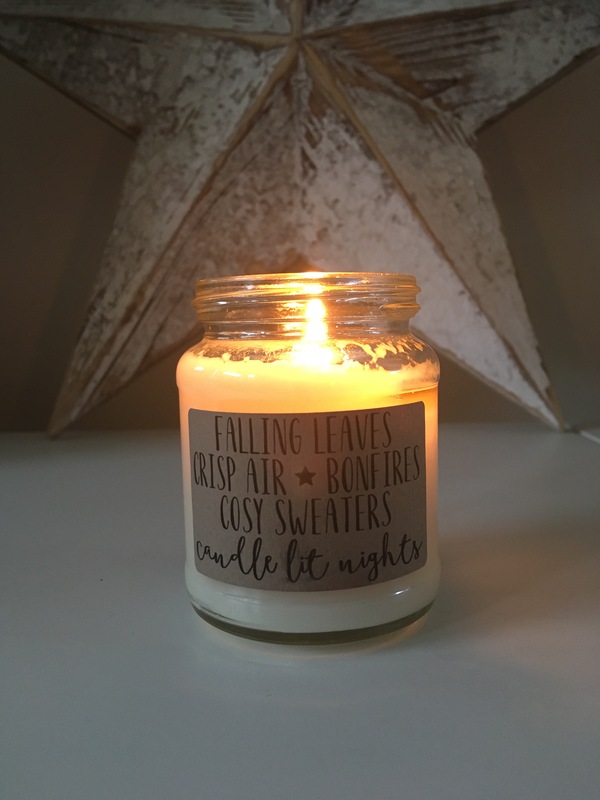 Well actually mine is now coming to an end… It went way too fast but I am feeling ready for Autumn 2 half term and for the countdown to Christmas to really begin! I’ve had a lovely break catching up with friends, giving the flat a big Autumn clean and a lovely glamping mini-break with Maxie. 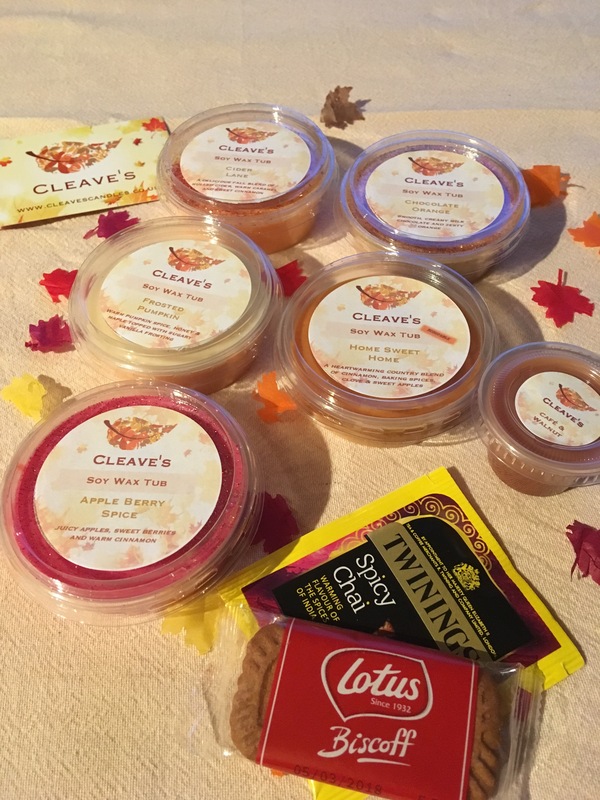 I’ve written in the blog before about how much I love camping/glamping and I love it most in the Autumn when it’s colder and cosier and the countryside looks beautiful and colourful. We found this trip’s site on Air B&B. Me and Max have a bit of love/hate relationship with Air B&B, I love it, he hates it and doesn’t understand why we just don’t book a hotel. 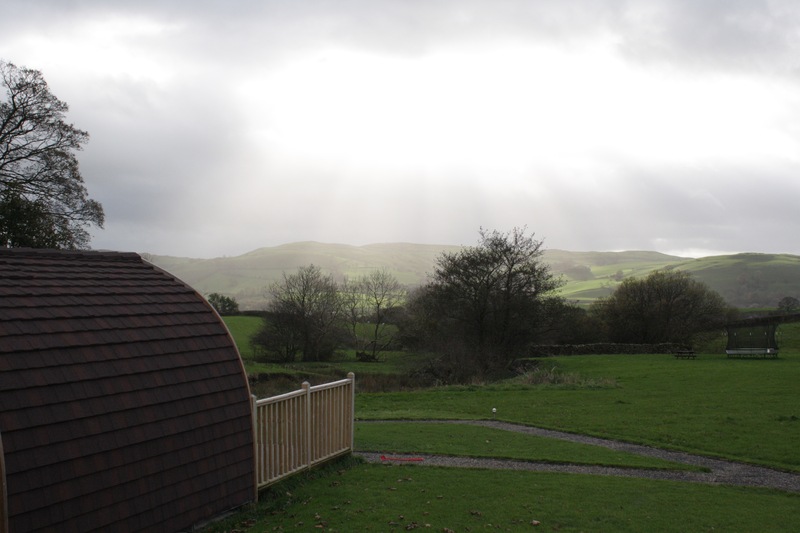 But even Max admitted Howgill’s Hideaway was a brilliant find and has soared to the top of our list of favourite glamping sites (followed closely by the yurts at Mason’s in the Yorkshire Dales). 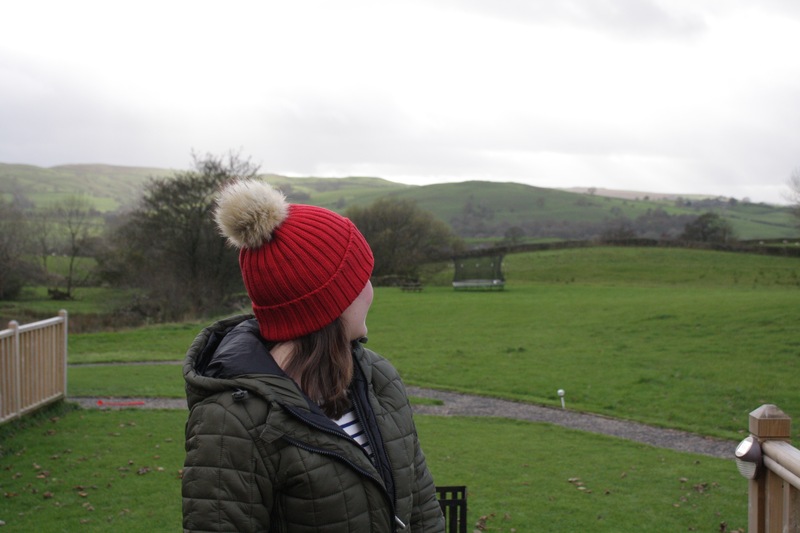 Howgill’s Hideaway is in the Howgill fells (unsurprisingly) just between the Lakes and the Yorkshire Dales. The scenery is beautiful! They have 3 pods which all face out to the beautiful views. 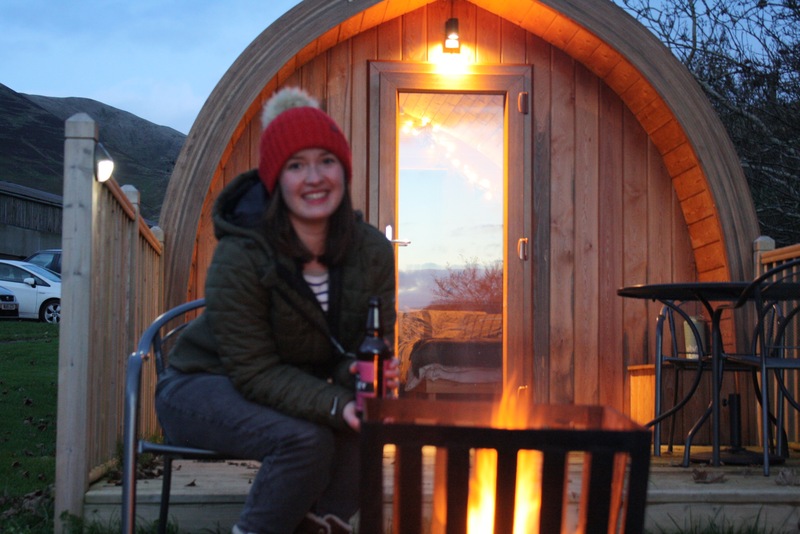 The pods are so cosy inside with a mini kitchenette, double bed, sofa bed and a mini desk. Even a TV which was a real surprise and came in very useful for checking in on the Strictly results! They each have their own firepit too, which we loved. And as they provide the wood, matches, fire starters, marshmallows and skewers, via the honesty shop, it was really easy to get it started and get toasting marshmallows and drinking beer around it (not singing campfire songs, Max refused). The three pods share a toilet and shower block which is a short walk from the pods but behind them as to not ruin the view! There were 2 showers and 4 toilets which were kept really clean and quite toasty warm which was lovely! I think I love glamping so much because it’s just so acceptable to do all the lame but relaxing things you always kinda want to do but never really have time. And when you’re camping its totally fine drink more hot chocolate than you’d ever drink at home with all the squirt cream and marshmallows you can fit on. This camping trip we took a jigsaw. A jigsaw! We’re in our mid twenties! But, although I don’t think we’d ever properly admit it to eachother, we really enjoyed it. We did terrible, barely even got the edges finished in the 48 hours we had there but the subdued project in our cosy pod really did feel lovely. 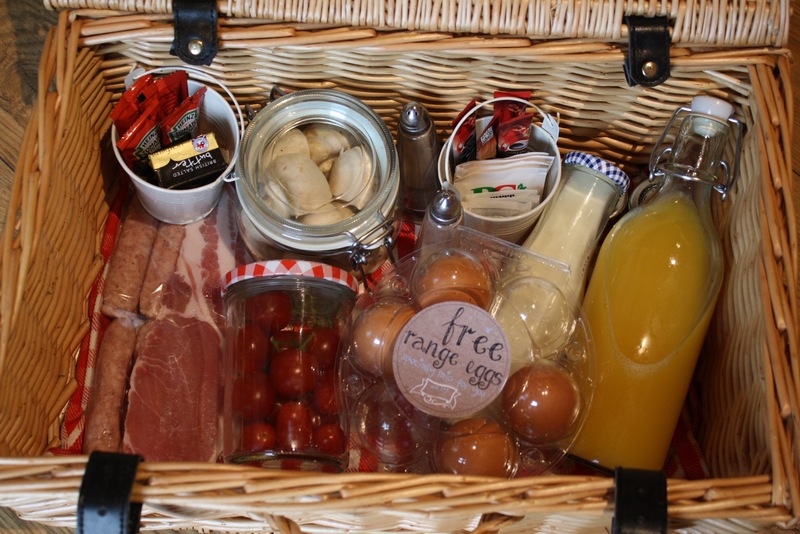 One of the biggest perks of Howgill’s Hideaway was the breakfast hamper deliveries. You do have to pay a bit extra for them (£5 pp per morning) but they’re fab, presented so beautifully and having one dropped off outside your pod for you feels such a treat. You do have to cook it all yourself but the little kitchenettes in the pods are really well equipped so it’s easy to do so. On arrival we even had some home baked cupcakes waiting for us in the pod and more freshly baked cakes and biscuits, fresh eggs and sweetie bags were available to buy in the honesty shop. On our only full day out in the Howgill fells we drove to Kendal, one of the nearest towns to the site. To get there we had to (actually there was probably another route but we were feeling quite daring) drive over the narrowest bridge in the world (probably not an official title). It was only 6ft and a little bit wide, the parking sensors were doing a constant beep all the way across and the bridge wall was just centimetres away from the sides of Max’s precious car. But we made it across with no scrapes thanks to Max’s good driving and we successfully did it another 2 times coming back and heading out the next day. Kendal is a really pretty little town with a fab chocolate shop and tearoom called The Famous 1657 Chocolate House. It has an insane hot chocolate menu, we spent a lovely hour in there keeping warm! On our last day once we’d left our little pod we drove to Keswick which is about 45 minutes away from the site. I’ve always loved Keswick and it just looks so pretty in the Autumn! We went to the Pencil Museum first (Max’s idea) which was actually pretty good but heaving as it was a misty cold day in half term! We then walked around the town and shops to the lake before going for a pub lunch. The Dog and Gun pub is in the town centre and was recommended by my Mum and Dad who have very regular day trips to Keswick to go walking and stock up on Mr Vikki’s chutneys and Curry Sauces (they are the literal best and sold in most of the delis and gift shops in Keswick). Like everywhere the shops in Keswick are starting to get very Christmassy! This picture I took in a shop called the Orchid House, couldn’t resist buying a bauble from there! Christmas is getting so close now and I’m already feeling festive and starting to get things sorted. I think my next few posts will have a real christmassy theme!